my hubby share satu cerita yang mana anak one of his friend's friend yang baru berumur 8 tahun mengidap kanser darah (leukemia). Bertambah sedih lagi when one of his kidney need to be removed and this child's parents working really hard day and night to prepare for the operation's downpayment. Itu pun buat operation di hospital kerajaan, if swasta sure lagi mahal. Mak ayah mana tak sayangkan anak, parents will do everything and anything untuk menyediakan yang terbaik untuk anak-anak biarpun diri sendiri susah. From the Doctor's diagnosis, the blood cancer is likely to be caused by the food and drinks the child has consumed over the years which have lots of engineered hormones, colorings, artificial flavors and etc. 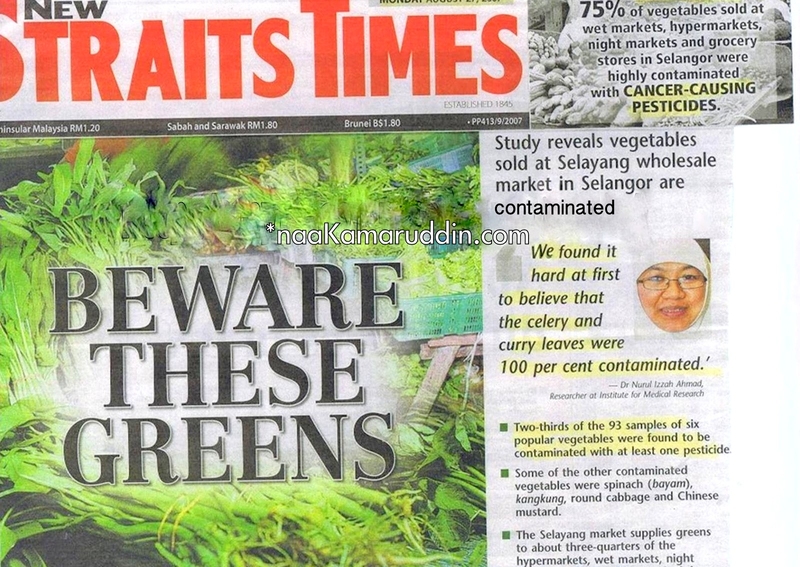 Dalam chicken, fish and beef ada growth hormones, dalam bottled juices ada artificial flavors and colorings. 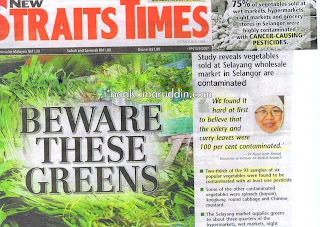 And not to forget even in our vegetables and fruits now ni pun penuh dengan pesticides or racun serangga. In other words, today's food are no longer safe for us. All of us already knew these facts, yet nothing can be done. Organic food is the clear answer, however the majority of us cannot afford to buy them everyday. The best we can do is to minimize the harmful effects by purifying and detoxifying our food prior to having them on our plates. How to minimize the harmful effects of engineered hormones, artificial flavors and colorings in our food? 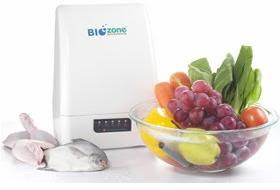 Why choose BIOzone Food Purifier? 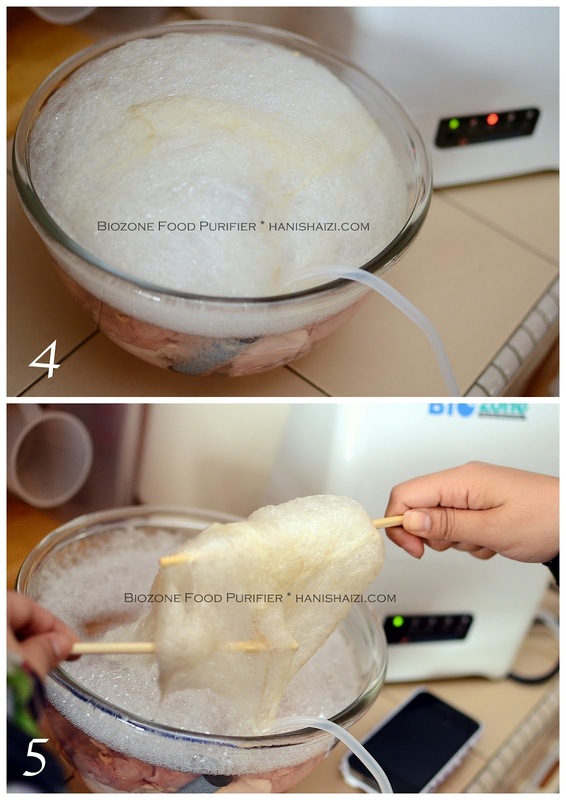 How BIOzone Food Purifier Works? BIOzone Food Purifier uses a proprietary process integrating ozone-resistant materials to convert oxygen (O2) into ozone (O3). The ozone that eliminates contaminants will be converted back into oxygen. The medical grade silicone tube will then channel the ozone into the water where the food is immersed. 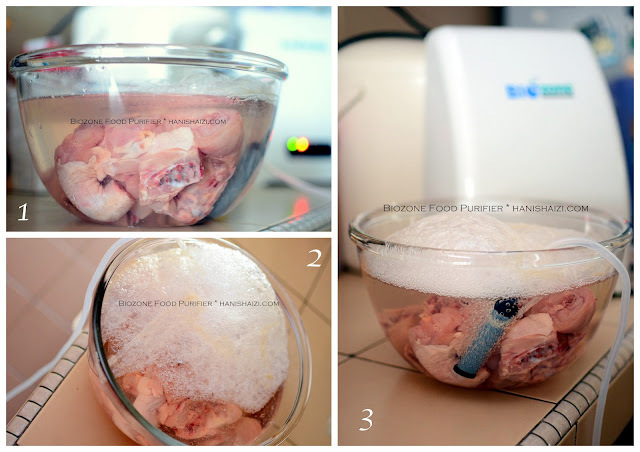 Bubbling process will take place to purify the food within the pre-determined time frame. *see yourself from the pictures below..
You can see foam like substance appearing on top. Looks like "fats" are on the bubbles... Now it starts to smell bad a little. Look at how much the "bubbles" have accumulated. When we scooped it up. The texture is sticky. if this is just normal "bubbles" or something else? how much of that TOXIN would be in our body now?!" **CHECK OUT my latest promo for Year End Sales HERE!